In today’s fast moving world, there is an ever increasing demand for customisation and personalisation, whether it be initials stitched on to your running shoes or a bespoke paint colour for your car. Everyone likes to have a personal touch in their day to day activities, so why should SAP Integrated Business Planning (IBP) be any different? SAP Integrated Business Planning (IBP) is SAP’s next-generation planning application, which uses the computational power of SAP HANA to enable a truly integrated and collaborative planning process. SAP have also recognised their past problems with somewhat un-intuitive user interfaces and have invested a great deal of thought into the underlying technology and implementation of the interfaces with which users interact with the system. Of course supply planners are not an easy group to please: they usually work in high pressure environments where time is limited and ease of use vital. To further complicate the issue, the user community for an IBP process is much wider than just Demand & Supply Planning and brings in the Finance and Sales departments among others. 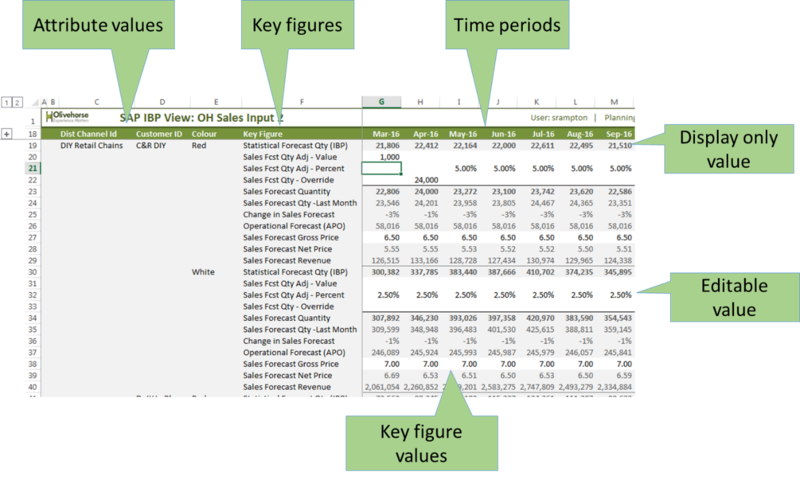 SAP IBP Excel Views- A planner’s dream? The main user interface for SAP Integrated Business Planning is Microsoft Excel using a special Excel Add-In provided with the product. In this article I want to explore if and why this interface will satisfy the needs of planners. Let’s start by having a look at where spreadsheets originated from, and then what planners need from the tools that support them. 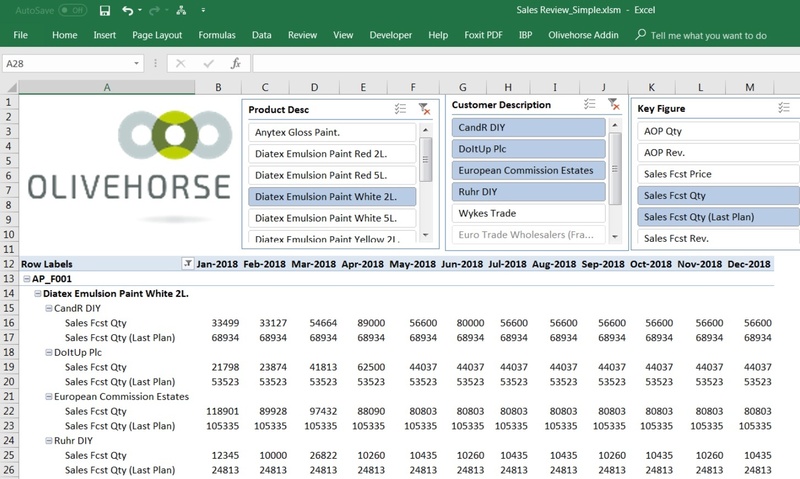 I’ve been around long enough to remember a world without electronic spreadsheets – a world that instead either involved pens, paper and calculators or punched cards, a mainframe and reams of printed output. In my first career as a Mechanical and Manufacturing Systems Engineer working for Dunlop, Chloride and Lucas, I had what in retrospect was the privilege of witnessing the birth of the personal computer and the early PC spreadsheet applications such as VisiCalc, SuperCalc and Lotus 1-2-3. It is also worth pointing out that at that time in the mid 1980’s, I had a DEC micro-computer on my desk where the computer was contained inside the VDU (a screen to youngsters) and the operating system, application and data were all held in RAM. Said computer was used to control manufacturing machines in real time. So some concepts are perhaps not so new!